Easy-to-digest book that helps small businesses adapt to today's changing dynamics between seller and customer. 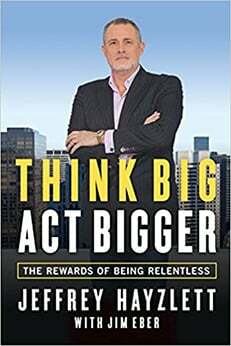 When Jim Blasingame sent me an autographed copy of his new book, the name I looked at second (after Jim’s) was the person who wrote the foreword: Steve Forbes. Color me impressed! The Age of the Customer is about how the buying process has changed. Fundamentally it’s still a commercial transaction where the seller is selling and the buyer is buying. That part hasn’t changed in 10,000 years. What has changed is the relative power each side has. In the past it was the “age of the seller.” While the customer has always been the one to make the ultimate decision to buy — or not — the seller used to “lead in the marketplace dance.” That’s because in the past the seller had control over product and service information, according to Blasingame. Today, he says, we have entered the “age of the customer.” By that he means the power balance has shifted. 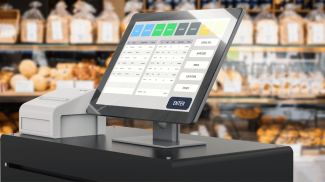 The customer now has equal access to product information. The seller no longer is able to dole out just what he is willing to let you know, on his own schedule. Also, word of mouth has more power, because today it can spread farther and wider online and via social media — instead of just face-to-face. And this has all changed in the past 20 years, due to the growth of the Internet. The Age of The Customer: Prepare for the Moment of Relevance is a book about understanding the new dynamics between seller and customer. It’s also about understanding how to adapt for success in your business. 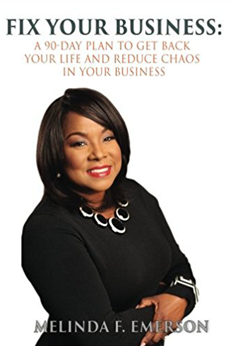 Filled with common sense advice and incisive insights, this is a book written 100% from the small business perspective. You won’t find many case studies of Fortune 500 companies that may be fascinating but useless given the scale of your own business. Mostly what you get are examples plucked right out of Main Street. All are written in plain language. Today, the prospect self-qualifies himself, and pre-qualifies vendors. You may be ruled out as a vendor without ever having contact. Why? Because the prospect goes online to find information or may see something on social media about your company. As for retaining existing customers, the book may give you an “a-ha” moment when you to realize that it’s within your power to give the customer what she wants because her wants may be relatively simple. But with so much going on in your daily business, your company may have fallen down on the job because of lack of focus or follow-through. He also paints a big-picture view of social media and online communities, so you can put it all into perspective. You won’t get step-by-step instructions on how to set up a Facebook page. The social media discussion is not that detailed. Instead, what you will get is an understanding of the general ways customers engage socially online, and how to leverage online communities. Some of the customer dynamics he lays out seem startlingly obvious once you read them. They are obvious because of the way he lays them out, sometimes using charts and diagrams. They are obvious because he interprets and explains customer motivations. You may think you know your customer, but have you stepped into the customer’s shoes? Most of us have not. So while we may pat ourselves on the back for what we think we know about our customers, we may not be able to see our own business through the customer’s eyes. And that is the brilliance of this book. It gives you glimpses into what the customer is expecting today and how the customer is behaving, in the age of the customer. Jim Blasingame has been dispensing small business wisdom for almost two decades, as host of the Small Business Advocate radio show. He is a syndicated columnist, speaker, and the author of two other small business books. I’ve known him for a number of years and call him friend. He knows what he’s talking about. 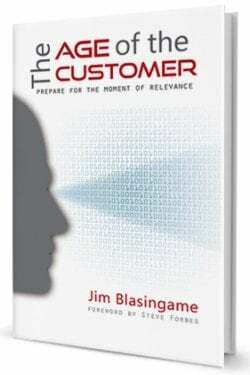 If business in today’s age of the customer seems unsettling, Blasingame will demystify and clarify it for you. Read the book. Social media marketing has been a major business strategy changer for small start-ups as much as for big businesses. We, ourselves, have taken advantage of the scheme connecting with more age-appropriate potential customers. Twitter ads, for instance, has been an excellent tool attracting followers and customers we couldn’t have reached face to face. Anita: I have to get this book. I enjoy listening to Jim Blasingame’s podcast show! With the age of new media, the customer has real purchasing power!